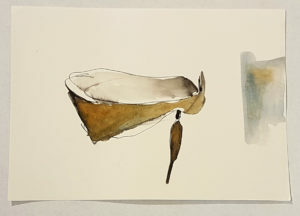 “A thick rough aquarelle paper is waiting on the table in front of me. From the brush jar, I choose the softest round one I bought in Paris a few years ago. It has a wooden handle and especially soft hair. They still respond as they did when I chose it in the small Paris shop. When I dip it into the glass of water a few bubbles hurry upwards, making a tiny stormy sound. The wet brush is then directed to the paintbox and laid upon the ultramarine blue. I turned it in all directions until it is all covered. 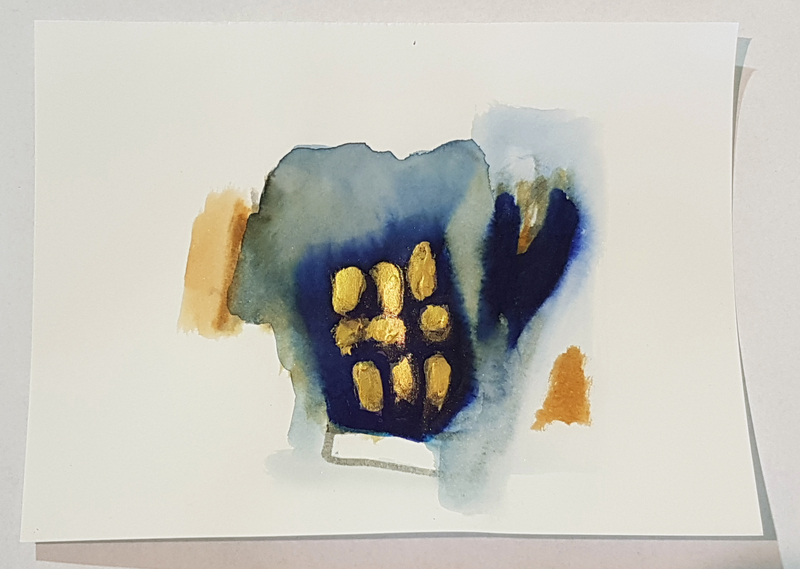 I breathe deeply and as I exhale, I move the leaning brush upon the paper from left to right. A wide stain sails on the surface. An ocean is opening in front of me. What does such a simple choice process teach us? Would you like to share your moments of choice? 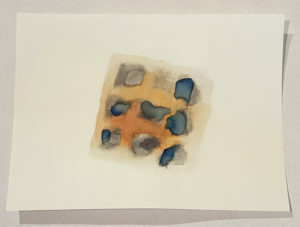 Nona Orbach, 2018 aquarelle 13×17 cm.